An italian cook interpreting a Peruvian Ceviche with danish influences. 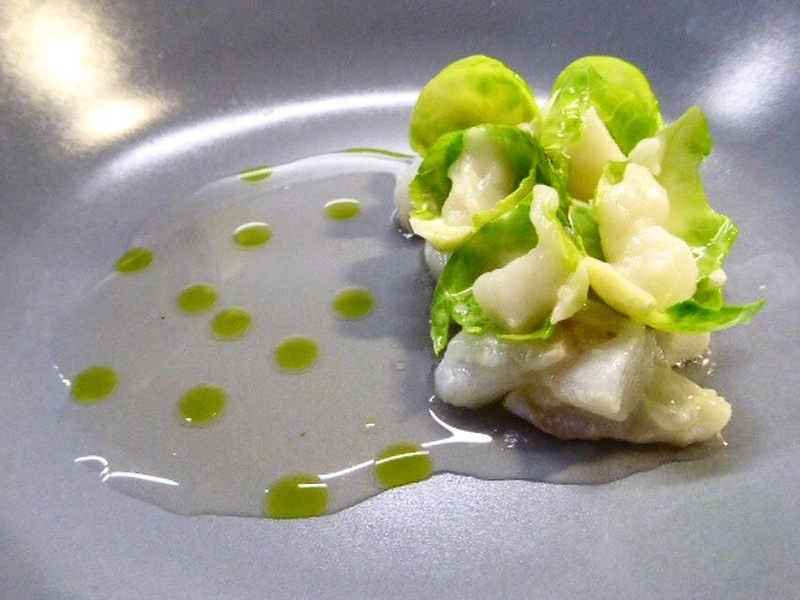 Last night, enjoy to give something very special for my friends, I made this amazing new dish: lightly marinated cod in olive oil and lemon juice, served with a delicate fish stock, coriander oil, brussel sprout and jerusalem artichoke crème. They were impressed to taste this nordic dish,the combination of the ingredients was complex and delicate at the same time. Was a funny night accompanied from nice food and nice wine. I enjoy to share with you my creation, I hope to have new dishes really soon.